World Sleep Day (March 17th) and National Sleep Awareness Week (which concluded March 12th) are important awareness events organized by sleep professionals; to educate and inform the community about the prevalence of sleep disorders and the direct effects of poor sleep. Sleep problems are all too common and have a negative impact on our overall wellbeing. This basic human need is just as important as eating and drinking yet we don’t always realize just how paramount it is until we are faced with dire consequences as a result of poor sleep. Though the number of folks affected by sleep disorders continues to rise, many will ignore their symptoms and will fail to seek help. It is in everyone’s best interest that individuals with dysfunctional sleep be diagnosed and treated so as to avoid the detrimental ramifications; which not only affect the individual but also those around them. Drowsy driving leading to a motor vehicle accident. Daytime fatigue affecting job performance & causing a work-related accident or death. Untreated sleep apnea causing heart attack or stroke. Severe snoring leading to divorce. It is time to wake up and take sleep more seriously. Help us spread the word. 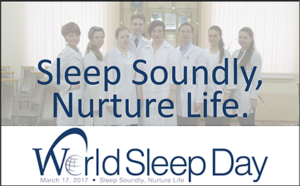 COMMUNITY SLEEP COACH INC is an official World Sleep Day Delegate. 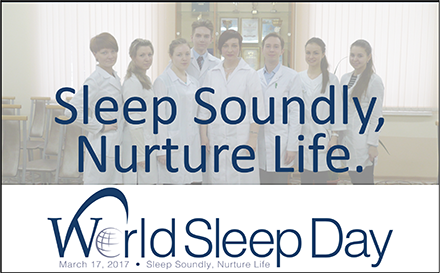 Visit us on March 17th for our World Sleep Day OPEN HOUSE and learn more about this important subject. You can view World Sleep Society’s official updated press release here.